A great choice of bed frame. Strong sturdy build that will last for many years to come. 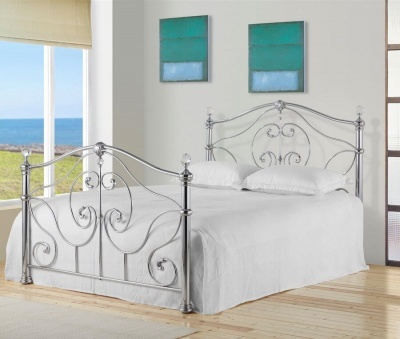 Country style design with narrow slatted headboard and detailing to the legs. Choose from all grey, grey and oak or cream and oak to suit your bedroom. Smooth painted finish with a clear protective lacquer on oak parts. Constructed from solid hardwood. The tops of the head and foot-end are made with veneers and have solid oak edges. Part of the Sandringham painted furniture range.